Heartworm prevention for dogs comprises three main types, an injectable medicine given by a vet, usually twice a year, pills or chewables which the pet owner can give once a month and spot on, or topical treatments which are applied to the skin of the dog. Advantage Multi for dogs, is a preventative of the topical treatment type and is available on prescription for the prevention of heartworm and also kills other internal parasites (hookworms, whipworms and roundworms) and adult fleas. Many pet owners like using topical treatments because there is no concern about whether or not the dog has taken all the medicine or managed to avoid swallowing the pill, the treatment is applied directly to the skin of the dog – and that is it! Provided your dog is over three pounds in weight and seven weeks old, you can ask your vet for a prescription for Advantage Multi for dogs. What are the active ingredients in Advantage Multi for Dogs? Imidacloprid. This medicine is for flea control. It works on the nervous system of adult fleas paralyses and kills the fleas. Because this medicine only kills adult fleas, you may still see fleas on your dog for up to around six weeks after you first start treatment – this is because the fleas have laid eggs which hatch out and do not get killed by this medication until they become adult. As they are killed as soon as they are adult, they will not breed and so the cycle is broken and your dog will then be flea-free! Moxidectin. This medicine kills heartworm larvae as well as the three main internal parasites affecting dogs, roundworms, hookworms and whipworms. Advantage multi, like the heartworm prevention treatments available as pills or chewables, must be given regular as clockwork – preferably on exactly the same day, each and every month, all the year round. However, if you live in an area where mosquitoes are not active all year round, your vet may advise that it is ok to leave off the treatment during the coldest months of the year. In this case, you must give the medicine according to the schedule your vet prescribes. However, the advice of the American Heartworm Society is now very clear and states that all dogs in the US, should receive heartworm preventives all the year round. If you miss a dose or are late administering a dose, contact your vet for advice on how to proceed. How do I administer Advantage Multi for Dogs? This is really easy to use. The medicine comes in an applicator tube and contains one dose. You need to be sure you are putting the medicine onto the skin of the dog, not it’s fur so you may need someone to help you make a parting in your dog’s coat to ensure this is done effectively. Make sure that you never apply the medicine to sore or irritated skin. For smaller dogs (under twenty pounds in weight), you simply put the contents of the whole tube, right between the shoulder-blades. For bigger dogs you apply it to three or four sites along it’s back, again making sure that you put the medicine directly onto your dog’s skin and, additionally, making sure that your dog cannot lick any of the application sites during the time it takes for the medicine to dry on your dog’s skin. This normally takes around thirty minutes but it is very important that your dog does not ingest the medicine particularly if it is a collie or collie type dog as severe allergic reactions can occur in this type of dog. Are there any side effects with Advantage Multi? Side effects are rare, but you should contact your vet immediately if you notice anything unusual and if you believe you have accidentally given your dog too much of the medicine. Symptoms include, trembling, dilated pupils, facial swelling or hives, excessive sleepiness or lethargy, weakness, stumbling, drooling of saliva, increased thirst, changes to normal behaviour or an unexplained cough. Minor side effects may be a residue at the application and the dog trying to scratch the site of the application. You MUST NOT give your dog ANY OTHER WORM TREATMENT whilst your dog is taking this medicine and you MUST let your vet know of any other medication or supplement your dog is receiving before you start treatment and ask your Vet’s advice if you are considering giving any supplements whilst your dog is receiving the medication. Advantage Multi does not have a generic alternative. The medicine can be safely stored at room temperature and does not need refrigeration but you must ensure it is kept well away from children and other pets. Seek Veterinary advice if you decide you would like to change the type of heartworm medicine for dogs you are giving your pet from Advantage Multi for dogs to another brand. 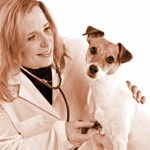 He will advise you when to give the first dose of the new medicine to ensure that your dog does not either get accidentally overdosed, or drop the level of protection and run the risk of heartworm infection.